Today I had lunch with my friend Gretchen. It’s a monthly ritual to can play catch-up and to celebrate our birthdays – two weeks apart. We always go to Miacommet Golf Club. In summer we sit out on the patio and watch the putters. In winter we’re often the only ones in the dining room. At some point we began to talk about creativity. Gretchen does many things. In spring her gardens take most of her leisure time. In the winter she crochets. “When I don’t have a project,” she said “I’m a little off kilter.” Most people who do a craft feel this way. Creativity in your life makes it fuller. When I’m in my studio doing decoupage I literally lose myself for hours at a time. I imagine many people who work on a computer feel the same way. The creative process does involve concentration whether on technique or during the design process, but when you get good at it, you enter a calm zone with time for thinking. Crafting relieves stress.. When I decoupage I design by instinct because I’ve been doing it for so long. Sometimes I have conversations in my head with my deceased mother who taught me the craft, or my grandfather who made the original boxes I am still working on. It’s an interesting little “time out” from everyday stuff. Over the holidays I met a knitter. I asked if she also crocheted. I always think of crochet as a craft from another generation, perhaps our grandmothers’ or their mothers. I also think of crochet as something belonging to women in the Midwest. The woman I spoke to she herself was from Racine, Wisconsin. “Two things matter out there,” she said. “Crafting and sports. No one misses a high school football game.” And most women are familiar with crochet. 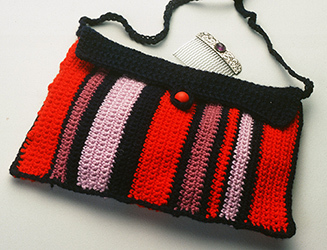 Crochet and knitting instructions are reduced to the very basic form of communication, much like mathematics. For this reason I’ve never really liked designing projects or writing about that craft although I have often. I’m too wordy. I asked Gretchen if she thought people who craft pick a project based on the finished product or for the technique. If you do needlepoint but see a picture of a patchwork quilted Christmas stocking would you want to learn the technique in order to make the project? I’m about to embark on a series of new craft books and this is a relevant question. Which brings me to crafting this winter. Should you learn a new craft or perfect a technique you already know and find a challenging project to make? Since I like the design part of any craft I always choose to work with decoupage so I don’t have to fumble through the learning curve. But the idea of taking a pottery class, for example is appealing because I’d like the end results. I just might fall in love with the technique of getting my hands dirty in all that clay. Probably not! 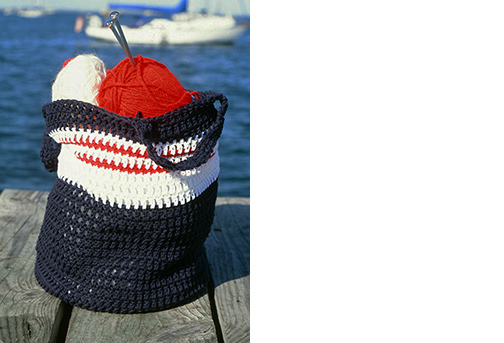 Winter is a good time for yarn crafts: knit, crochet, needlepoint, because we don’t like working with yarn in the summer. Same for quilting. Start with something small and easy. I’m big on avoiding frustration. And I hate making mistakes, like dropped stitches in knitting. Baby projects are a lot of fun. Caps, mittens and socks are harder than a little receiving blanket or a needlepoint pillow. Start off with a baby blanket made up of little squares and sew them together. Then you’re just working one small square at a time. You can stick in your purse for crafting anywhere at any time. No space required. 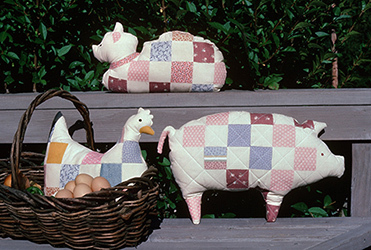 Scraps of yarn , a hook or a needle and a pattern – all that’s needed! Right now I’m trying to get a bunch of patterns onto my web site but it’s slow going. Look for them from time to time. 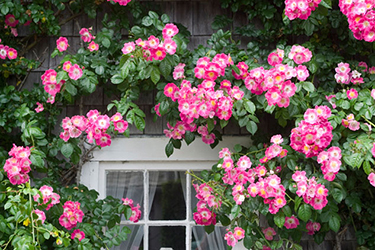 I’ve started with quilt patterns and other cottage accessories from my soon to be published “Nantucket Cottages And Gardens”. 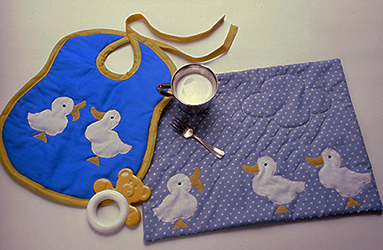 Here are some quick craft ideas for inspiration: An applique bib, patchwork stuffed animal pillows, a crochet tote and little purse.